IRA Advantage was created to empower the investors we have worked with since 1991. Over the years we have fielded questions on IRAs and have received numerous inquiries for help with Self-directed IRA products and their investment in real estate. As we entered 2008 financing grew tighter and investors watched their retirement savings shrink, the demand for our service only increased. It was clear that we had to create a solution to our client’s needs. IRA Advantage, a sister company of Equity Advantage, Incorporated, is the result. We created a service that effectively creates a “conduit” out of the stocks and bonds that a traditionally held into real estate and other alternative investments and to make those investments simply by writing a check. The firm’s mission is simple-to provide Opportunities and Solutions to the people we work with. The principles of the firm are David and Thomas Moore. The Moore brothers have been pillars of the Investment Real Estate Community since 1991 when they founded Equity Advantage, a 1031 Exchange Facilitation company. The brothers are known for their ability to get the difficult deal done, they are often called in as consultants before deals are struck or to clean up deals that are going astray. It is the thorough working knowledge of how to get the deal done that now empowers clients through IRA Advantage. You’ve worked hard for your money, we’ll make it work hard for you. David is a founder of Equity Advantage, Incorporated, of Portland, Oregon. Equity Advantage has facilitated thousands of exchanges over the last 19 years. 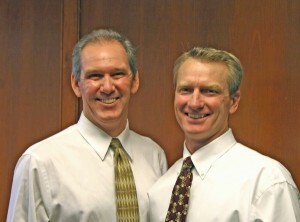 In 2008 David and his brother Thomas founded IRA Advantage to structure Self –directed IRAs. David and Equity Advantage were instrumental in the FEA’s (Federation of Exchange Accommodators) expansion throughout the Northwest during the early Nineties. The FEA is the Exchange industry’s national trade organization. David resided on the FEA’s board of directors from 1995 through 1999, chairing the Ethics Committee. David’s personal real estate investments brought him to Oregon in 1990, where he met his wife, Sheila. They live in Lake Oswego with their three children and enjoy snow skiing, water sports and tennis. David believes in giving back to his community and is active with Rotary where he is a Past President and was active with District 5100’s Prostate Cancer Project. His interests in youth keep him involved with the Rotary’s Scholarship programs as well as the Youth Employment Agency, a GED program in Portland. David also resides on the board of the Oregon Cancer Ski Out. Tom Moore is co-founder and President of Equity Advantage, Incorporated. With his brother David Moore, Tom founded Equity Advantage in 1991 in an effort to bring a service oriented exchange business to the 1031 industry. Tom Founded IRA Advantage along with his brother David in 2008 in an effort to provide clients the same level of service in the Self-directed IRA field. Nineteen years working with some of the best in the tax and legal fields to handle complex exchange transactions and now IRA work, has given Tom an unparalleled understanding of the fields and provided him the resources necessary to help guide investors in any situation. Along with group speaking engagements, Tom provides consultation to investors and professionals that are looking to move properties through the exchange and Self –directed IRA processes. The ability of IRA Advantage to act as a true resource is something that Tom takes great pride in. He considers client referrals and the repeat customer to be the greatest of compliments and to be the company’s key to its success. Tom was born and raised in Santa Cruz, CA and later graduated from UC San Diego. Real estate investments led him to the Pacific Northwest where he and his brother started Equity Advantage and IRA Advantage. Outside of work he stays active through tennis, water skiing, snow skiing, driving and endless family engagements; he lives with his wife and two children.